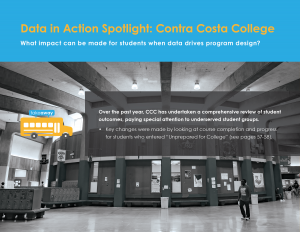 A community-led campaign to improve outcomes for all West Contra Costa students by ensuring that leaders — from the classroom to the boardroom to the community — use data and evidence to inform strategy, budgets, and decisions. At the WCCUSD Board of Education meeting on October 18th, our school district leaders took a significant step forward for students by unanimously approving A Resolution to Affirm Our Commitment to Strategic Use of Data from Preschool through 12th Grade. The resolution was developed in partnership among GO Family Leaders Program alumni, Board of Education members, and district leaders with the goal of building the foundations necessary to make data-driven decisions to dramatically improve student outcomes. How did parents begin this journey with board members? At the June 14th, 2017 Board of Education meeting, Family Leaders, students, and supporters took action to ask for partnership from WCCUSD leaders. During public comment, our parents requested board members to work together with them over the summer to develop and adopt a set of standards and practices to transform the way that student data is gathered, shared, and used to make strong decisions in service of strong student outcomes. In the process, parents used their knowledge and skills gained through the Family Leaders Program to lead powerful and productive meetings with decision-makers. They were effective partners, well-informed about topics such as data, budgets, advocacy and organizing, building relationships, and school governance. Take the necessary steps to improve our data infrastructure and reporting to enable assessment of current policy, program, and resource allocation. Provide high quality program and budget reports to enable accountability and ensure positive results for students. Ensure that timely and actionable data is readily accessible by educators, families, the community, and decision makers to inform interventions for students. Our educators and service providers being better able to answer essential questions about what does and doesn’t work for students through thorough program evaluation, looking at the impact and efficacy of current program offerings. Make the necessary changes to the district website, board-level reports, and communication collateral to reflect exemplary use of data. These commitments mark an important milestone and a strong shift in philosophy. They are the beginning of a long-term change. Updates that mark progress towards key goals in the resolution, like the development of a central warehouse to store data and the creation of a process for service providers to share data and show evidence of impact. Public review of district staff reports to the board using a clear rubric to monitor the quality of data use in driving decision-making. Public monitoring of dashboards and public access to data to push for timely, accurate, and disaggregated data. Sharing of resources and best practices from other districts that have prioritized data use to drive improvement in student achievement. 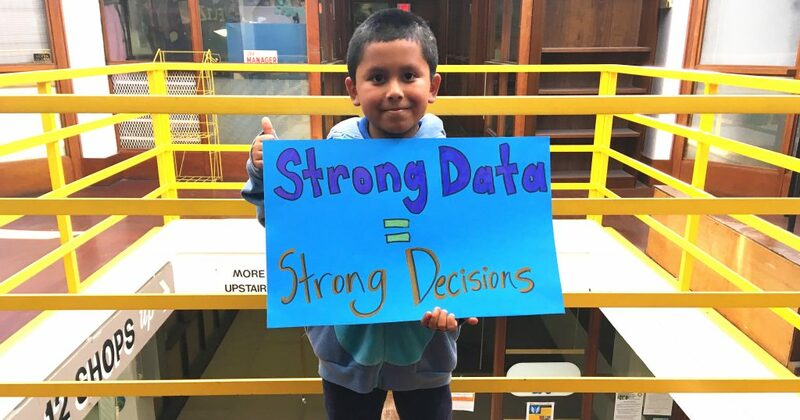 16 partner organizations, GO Family Leaders Program Graduates, and more than 100 individuals in our community have come together urging WCCUSD leaders and school board members to enhance the use of data to improve student outcomes. Click here to view our community coalition’s letter to WCCUSD Board of Education. 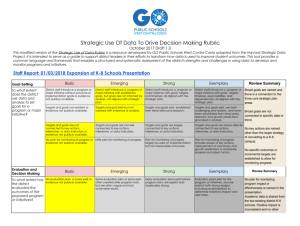 Our Strategic Use of Data Rubric ongoing reviews district staff reports to the Board of Education, using a clear, scored rubric to measure the quality of data use in decision-making. Scores are tracked over time in the hope of continuous improvement. See our rubric review of WCCUSD’s Expansion of K-8 Schools Presentation. See the Data Rubric en español. We partnered with a group of parents, educators, and community members representing schools from across West Contra Costa to conduct many months of research and conversations with stakeholders to develop Policy Recommendations for WCCUSD.